12.5 miles, 5:03 hours, 432 m highest point. Day 11 of the walk. Ingleby Cross to Clay Bank Top. 12.5 miles with lots of ups and downs as shown in contour profile. High point of 432m. Descents were very hard on the knees and toes. Fantastic weather, sunny for most of the day. The usual 11:00 coffee break on a convenient path-side bench. 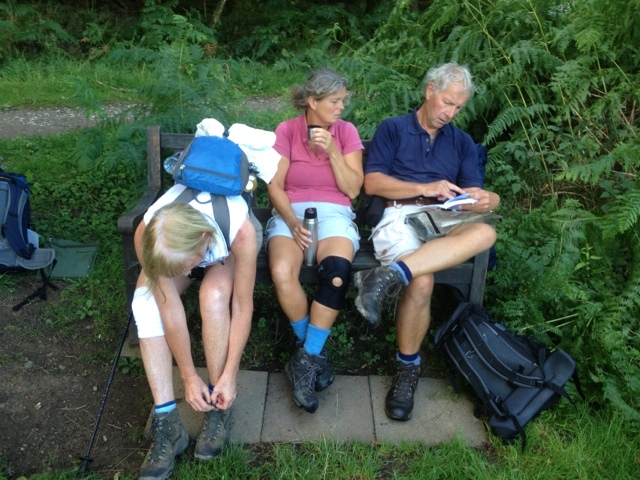 Most of the walk was through the North York Moors national park on a very substantial path. 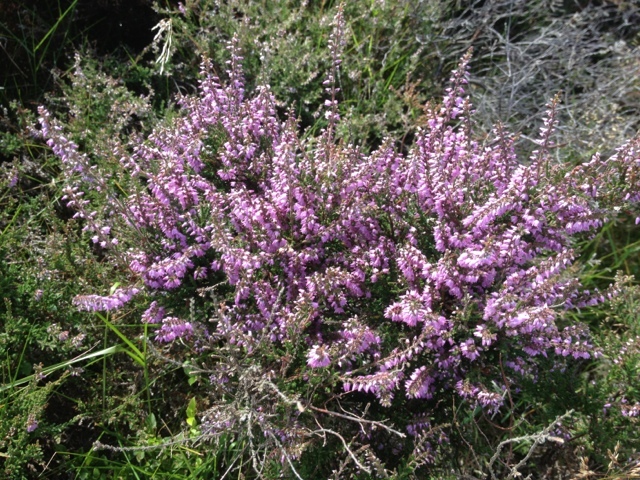 The heather was in full bloom with the hill tops all purple. 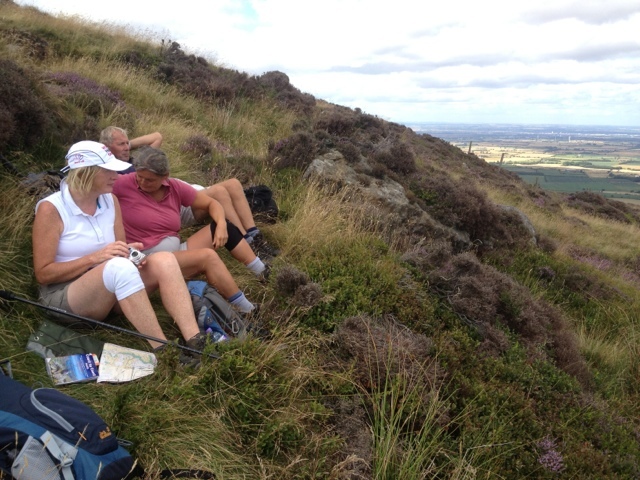 Lunch was just past Carlton Bank on the leeward slope as it was far too windy to stop up top. 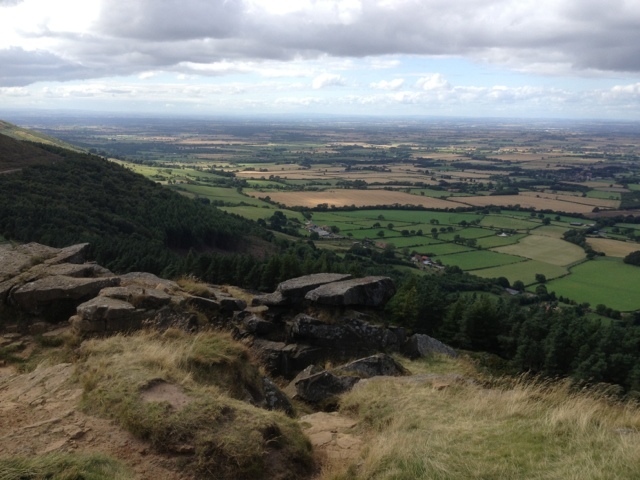 We had fine views past Middlesborough to the sea. 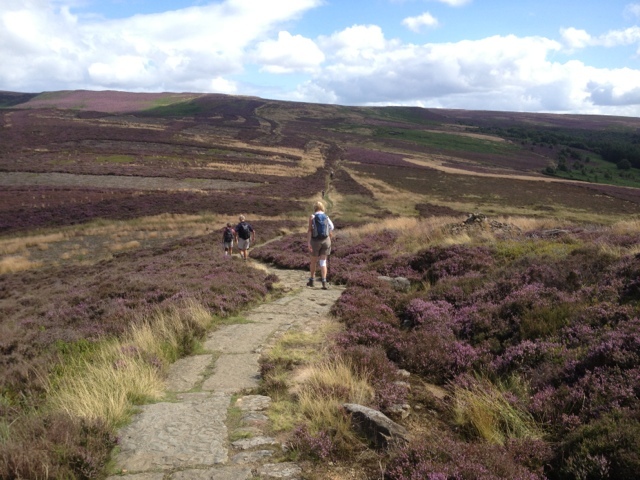 The last stretch took us past the Wain Stones down to Clay Bank Top and the car park. There our host for the night came to collect us as we are staying a little way off path.